Watching our Roomba robotic floor-cleaning wonder (we call her Rosie after the female robot maid from The Jetsons) travel back and forth across the room, made me think about how convenience items have become so important to us humans these days. As our daily lives become more hectic and complicated, we search for ways to simplify. Our time is stretched to the limit due to our jam-packed schedule of activities. 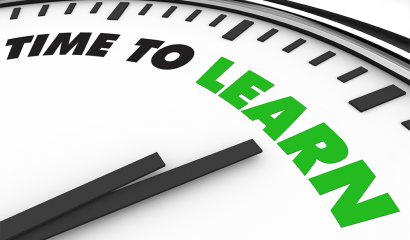 Anything that adds a significant level of convenience or leaves us with more time on our hands becomes a treasure. Robotic floor cleaners, portable phone chargers, laptops, and automatic car starters are just a few of these time-saving treasures that allow us to be more productive and have become staples of our everyday lives. 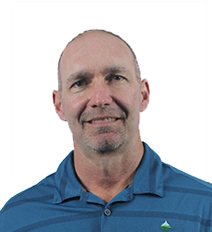 Turf managers are not immune to the hectic and complicated life as the expectations of both the players and customers remain sky high while budgets and time become more limited. There is no doubt that turf managers appreciate time-saving inventions as well. For these reasons, Foliar-Pak has come through with some convenience products to simplify nutritional needs and alleviate purchasing hassles. Within the last two years, our all-in-one products have become quite popular, especially Foliar-Pak Grow-In. It was funny how Grow-In was conceived. 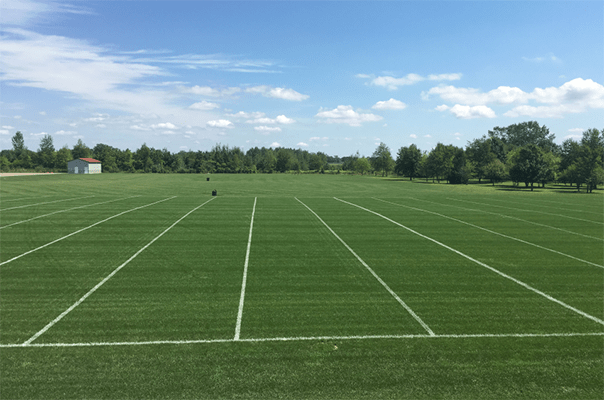 A few years ago, J&D Turf, the operational division of Advanced Turf Solutions that offers sports turf construction, consultation, and maintenance services, was doing an abundance of renovations and establishment projects. They specified the Foliar-Pak Recovery/Establishment Program as part of the fertility recommendations to expedite turf establishment. The program worked beautifully providing successful results for many properties. 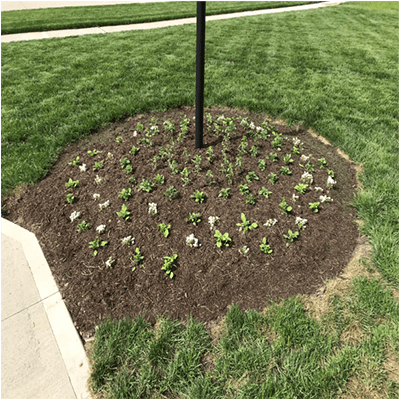 Grow-In displays impressive results on field after being added to a program with Nature Safe® 12-2-6, applied every seven days for four weeks straight. Our president George Murray went to work to formulate a product that incorporated the nutrients and carbon technology from all five products into one jug! We named this product Foliar-Pak Grow-In. There may have been some skepticism in the beginning, but once users experienced the performance of Grow-In, it’s safe to say they became firm believers. Since its creation, the convenience and performance of Grow-In have been enjoyed by hundreds of end users. 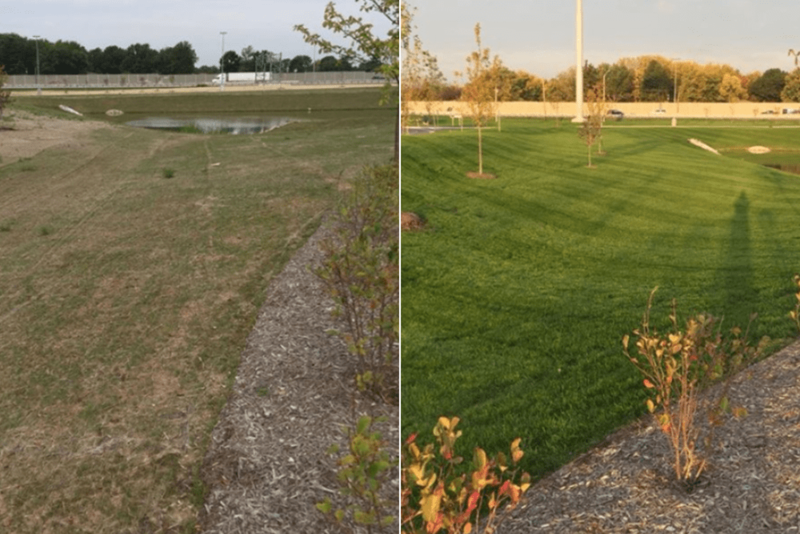 We have dozens of pictures documenting the rapid progression of turfgrass stands going from infancy to maturity as well as documenting the recovery of seriously downtrodden turf. Grow-In is a truly unique formulation that you have to try to understand the full scope of its capabilities. As a Foliar-Pak representative, I find it’s fun to talk about all of the various uses of Grow-In. The intrigue of simplicity, convenience and performance are enough to get growers interested in trying Grow-In, and the kick that it gives the turf is impressive enough to keep folks using it. 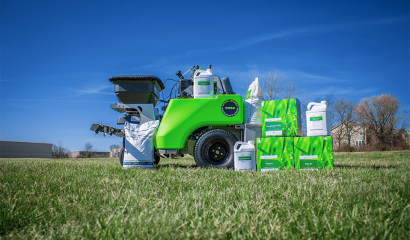 Although it was initially designed to be used only on athletic field turf, Grow-In has found its way into lawn care, golf, and ornamental sprayers and is even used in land reclamation work out west. Rapidly establish turf from germination to maturity. Improve seeding, sod, hydroseed, and lawn overseeding processes. Get faster recovery from high traffic. Improve recovery on range tees and smaller par 3 tees. Apply as an all-in-one product on athletic fields. 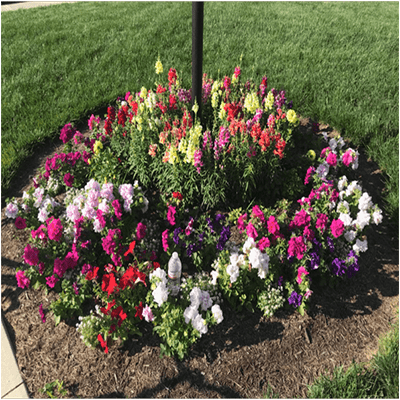 Apply as an all-in-one product for fertilizing ornamentals. I’m sure we’ll hear about more uses for Grow-In in the months to come. So, when you are looking for convenience, simplicity, and outstanding results in liquid fertility, ask your rep about Foliar-Pak Grow-In!